I have to warn you that what I’m about to tell you about is a bit addictive and you may find yourself hours from now completely obsessed. At least that’s what happened to me when Debbie told me about the V&A Patchwork Pattern Maker. 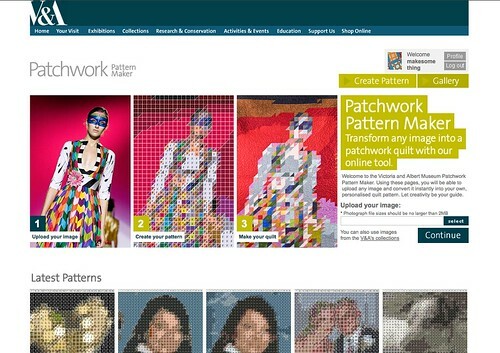 In conjunction with the current quilt exhibit, The Victoria & Albert Museum has an amazing online tool on their website that allows you to upload an image and it will turn it into your own personal quilt pattern. 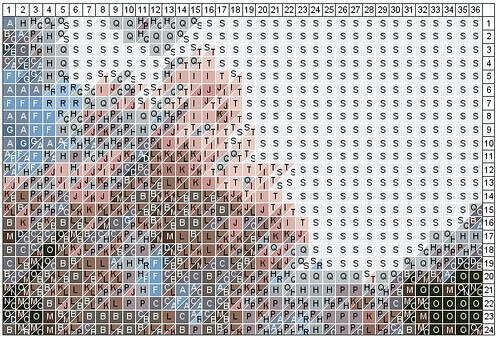 You get to choose how many colours you’d like your pattern to have (up to 20) and the level of difficulty (larger squares = easy, small squares + triangles = expert). 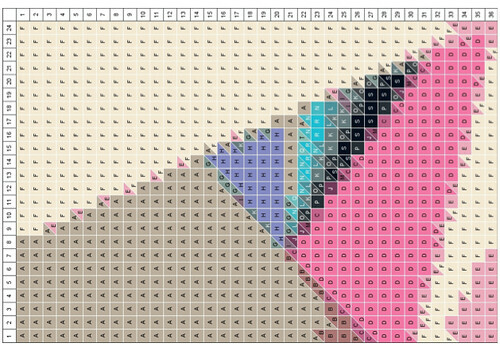 The pattern maker creates a complete pattern for you that you can download and use to create your custom quilt. The day I found out about this, I spent about four hours searching through my photos and trying out quilt patterns for everything. So fun and so addictive! Since you get to work on the quilt project of your choice for our new Quilt Clinic class, I’m going to try doing the triangular quilt pattern (last photo). The original image was of a paper collage by Carl Kleiner. Most of the people taking the class are working on getting help finishing a current quilt project, but I can’t resist the opportunity to start a new quilt and get some help with that. I know Johanna will have some good advice on how to best organize this project and get it done with the least amount of fuss. I have the crazy notion that this is going to be a queen sized quilt for my bed. I think the expert supervision will come in quite handy. p.s. I want to apologize right now, if you don’t get much work done today because of this. wow!!! 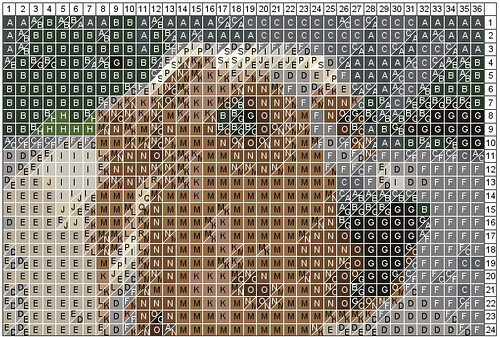 can this work for cross stitch patterns too? melissa – yes! 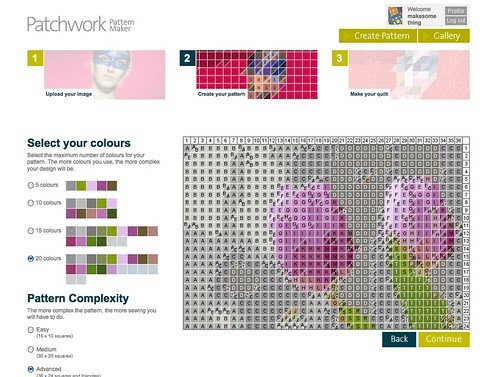 you can totally use these patterns as cross stitch patterns!! This blows my mind! The V&A have an entire staff devoted to online activities, and it shows! WOW! Wow! Thanks for sharing. I haven’t been to the V&A website for some time. I better keep up. THE.BOMB. i was looking for something like this for like ever!! thank you so much for sharing. incredible!! Thanks for the reminder! What a great tool. I’m anxious to see how yours turns out, too. I would just love to have this tool. Husband is a super photographer and I would LOVE to make a fabric rendition of some of them. Can someone direct me to a place I can find this Pattern Maker. Thanks in advance. I haven’t been abe to find it.